Registrants are responsible for hotel / travel arrangements. 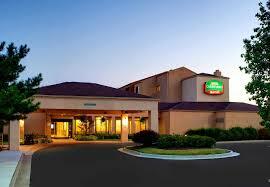 We have secured a small block of rooms at the discounted group rate of $139.00 plus applicable taxes. Call 1.314.241.9111 and request the group rate for the National Society for Histotechnology. The hotel is a 10 - 15 minute walk or a 4-5 minute cab ride from the training facility in the Millipore Sigma building. Attendees are responsible for providing their own transportation to the Millipore Sigma building. MilliporeSigma is located at 2909 Laclede Avenue, St. Louis, MO 63103. If you are driving, click here to view directions on the hotel website. Or click here to view the google interactive map & driving directions to MilliporeSigma. The St. Louis Lambert International Airport (STL) is ~ 15 miles/20 minute drive from the MilliporeSigma and the Courtyard St. Louis Downtown West. The St. Louis Amtrack Station is .7 miles SE of the hotel.